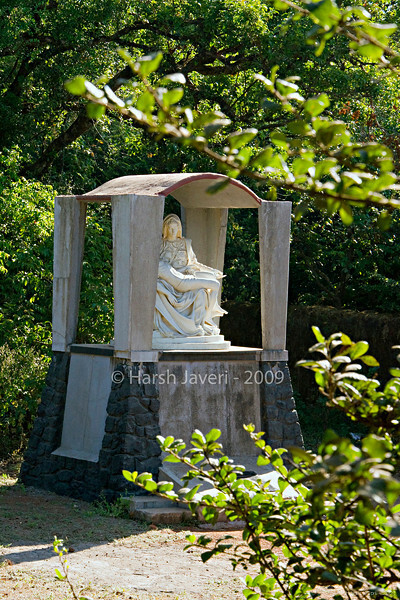 On a morning walk at Mahabaleshwar spotted this beautiful statue in the courtyard outside a cemetery. It had not opened yet so could not go closer for different angles / details. Poor framing. The person in her lap has his head cut off. Terrific. Looks like a copy of Michael Angelo's Pieta in the Vatican. Beautiful light, showing this statue so well. Nice caputre! Good lighting and composition! Very pretty light, nice shot.